Description: A Shampaine Radi-Op O.R. table makes that an easy decision whether you choose one of the tables in our 1900 series. Because one Radi-Op table can do the job of six individual specialty tables. Easier, better and less expensively. One Radi-Op can be six things to all people. A C-arm table. 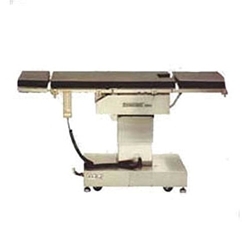 A general surgery table. A back-up urological table. A EENT table. An neurosurgery table. And an orthopedic table (when traction is not required). You probably have tables that perform only one of those functions sitting around the hospital right now. Performing that function very infrequently. But that won't happen with the Radi-Op, because it adjusts to your needs. So much so, you may never see it going unused. No other O.R. 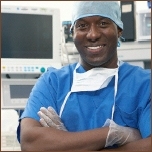 table makes an operating room run more efficiently because no other O.R. table has the Radi-Op's versatility. Versatility in functions to fit your needs and in price to fit your budget.